Happy Friday friends - so happy to be back at it again with Amanda ,September Farm and April to share some favorites from the week. Let's get right to it! 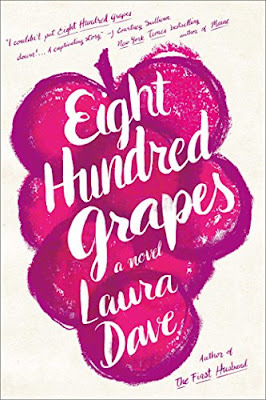 I finished reading Eight Hundred Grapes this week and really enjoyed it! If I had to give it a rating I'd say a 4 out of 5 stars! It was really easy to read, but some of the chapters were kind of all over the place going back and forth in time! I was extremely happy with the ending, but of course like any good author she kept you in suspense until the end. I love wine, so learning about the process along with reading the story was so fun! Krystin Lee once again nailed it with this gorgeous dress from Eliza J. I adore the thin gold belt that actually comes with the dress and it's just so fun for an Summer wedding or Summer event! Andy shared her fresh recipe for Zucchini Muffins and the addition of applesauce is such a different ingredient - I can't wait to try them! For anyone that has any favorite makeup products, but forgets what shade they get in their holy grail foundation or what their favorite mascara is called this is the best tip I've seen and honestly not sure why I didn't think to do this on my own!! You basically take pictures of what your favorite makeup items are called and when you go to the store, no more trying to remember your color or what you bought last time! This picture of the sweetest face Prince George made at his sister's christening has literally made my week!! I call this my " I can't handle it" face! Cuteness overload!! Hope you all have a wonderful weekend and see you Monday for Weekending! I definitely need to read that book next. I have so many on my reading list, I need to get to it haha! And love that gorgeous maxi dress, wow! The belt really makes it too! How did I not know about that MAC color? You definitely need it! Heck I do too! :) Have an amazing weekend pretty friend! That dress is just gorgeous!!!! Swoon! That MAC color is so pretty and perfect, why do all the good things sale out so fast?? I really need to learn how to do beach waves, maybe one day I will get my life together. I have been taking pictures of my make up for a few years now to store in my phone :) I am forgetful and I know! Haha! Have a great weekend!!! That. Eliza. I. Dress. Oh my god I need it yesterday!! It's just so perfectly, effortlessly chic and fantastic. I use applesauce in a lot of my baking actually! Cuts down on the sugar and is a great replacement for an egg. I have found that if leads to smoother pastries as well! Happy Friday doll! I read that book during vacation last week and really liked it! It makes me want to head to wine country! That dress is SO pretty! Glad you liked the book that you read--I hadn't heard of that one before, but might add it to my list now! I'm reading a good one right now that I'm hoping stays good throughout (I need a good book after the last loser I read). 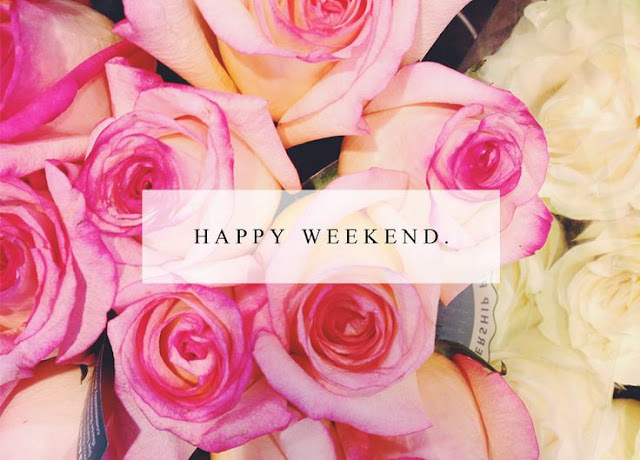 Hope you have a great weekend girly! That book sounds awesome!! And that tip about taking pictures of your favorite makeup colors is too good – how have I never done that? That dress. My gosh - I can just imagine it flowing in the wind walking down the street. I can't even handle the cuteness around the Royal Family!! And those muffins sound good.. I need to try those. Have a great wknd!! Those zucchini muffins sound so delicious and the new Mac collection is so pretty! Have a great weekend! I loved that pic of Prince George, too! So cute! I tried your little mascara trick this week - and not that I ever doubted you - but, IT WORKED! Thanks so much for sharing! Have an awesome weekend! Oh my gosh, that little munchkin is so adorable! I love his fat wittle wrists! I need to grab that book for my trip to the beach! That dress is gorgeous! I was actually thinking about ordering a similar one and now I think this just confirms that I need to! Not that I need another maxi! ;) Those muffins look amazing! Happy Friday! That Laura Dave book is on my short list for vacation reads...glad to hear your positive review! That picture of George is just too much (and actually, ALL of the latest Christening pics are super adorable). Happy Friday! That dress is so pretty. Prince George is so adorable. I loved that picture of him talking to Granny, The Queen. I will keep my eye for that lipstick for you. I'm sure its going for a pretty penny on Ebay. Have a wonderful weekend. Oh gosh, that face!! So precious. Keep checking the site...when the HEA lipgloss sold out from Cinderella I was so disappointed and I checked back withing a few days there were more available online!! Good luck, I know exactly how you feel! That dress is gorgeous, and I would love to try those skinny muffins! Have a great weekend and happy Friday! That dress is gorgeous! It would look AMAZING on you with your hair and eyes - it would be stunning!! I have been following the christening pictures - did you see the one of William with an almost identical outfit when he was George's age?? This book is on my list for summer- so glad to hear you enjoyed it! Isn't George just so well adjusted snd stinkin adorable!!!! Good book as 4 of my friends have read it so I must!!! I hope your weekend is spectacular!!! I really want to read that book! That dress is gorg and I have a similar gold belt that came on a pair of shorts from Express! Ive got to make those muffins and Im loving that beach wave style!! You have to try it! My hair never waves right/ at all. My ideal wavy hair would be Cara Loren's( the blogger). I would die for her hair. Mine is just so straight!! That lip color is sooo pretty, would love to see what it looks like on! xoxo Have the best weekend! Obsessed with that DRESS, PRINCE GEORGE, and that lipstick color! Bummed it sold out!!! Prince George is too adorable. Those zucchini muffins sound delicious. I loved Eight Hundred Grapes! You should also read Killing Monica and Crazy Rich Asians! That maxi is pretty much the perfect dress to wear to a summer wedding! So pretty! i have been all over the christening thing. i am so obsessed with the royals! those muffins look tasty and i love that pink dress!!! Loving that dress!! I don't have the height to pull it off though :( Hope you have a great weekend! I made zucchini brownies with zucchini from our garden! I need to try the muffins - those look good! Happy Friday girl! Hope you have a great weekend! I love your favorite look, it's so feminine! Plus, that zucchini recipe looks amazing! I've use applesauce in recipes because it makes it healthier and doesn't change the taste! :) Have a great weekend! Keeping track of your makeup shades in your phone has got to be the most genius idea. Can't even explain how many times I've been in Ulta trying to figure out what shade I bought last time!! Those muffins look really good! I'm going to have to remember that recipe for when I go back to work for healthy/easy breakfasts! Have a great Friday lady! oh my gosh, Prince George! did you see how flawless Kate looked?! jeepers. Zucchini Muffins? yes please! and good to hear about the book! OH my goodness, the pictures of the royal family were SO cute!!! There's something about how regal and grand they all are, even little George the toddler looks so sweet yet formal!!! And excited to check out that book rec ... I just finished Grey (should I admit that? lol!) and need a new one! That dress is gorgeousssss! And those muffins sound delish! I LOVE finding recipes that use applesauce, you literally can't taste the difference (but use so much less oil, etc) That has me craving Fall as there's a pumpkin, carrot, zucchini muffin recipe I love that uses applesauce as well, yum! Dying over that last picture, way too cute! The Prince George pictures were beyond adorable this week. He is so silly and expressive I can't stand it. That dress from Eliza J. is gorgeous! And I def need to try those chocolate chip zucchini muffins. Thank you for the faking false eyelashes tips! Have a great weekend. 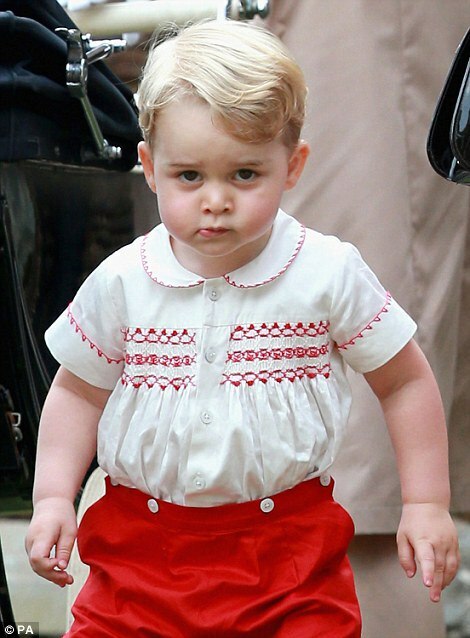 I love Prince George, he stole my sassy heart from the minute he threw down that stuffed animal ;-) That app is genius! I can't tell you how many times I forget my foundation number! Prince George is like the cutest- I can't even deal with him and those adorable tall socks. I put up a pic from Charlotte's christening, too. The Royal Family is really not disappointing with their photos lately! I love that Eliza J dress! Thank you for sharing! Hahaha that pic of Prince George is too cute!! 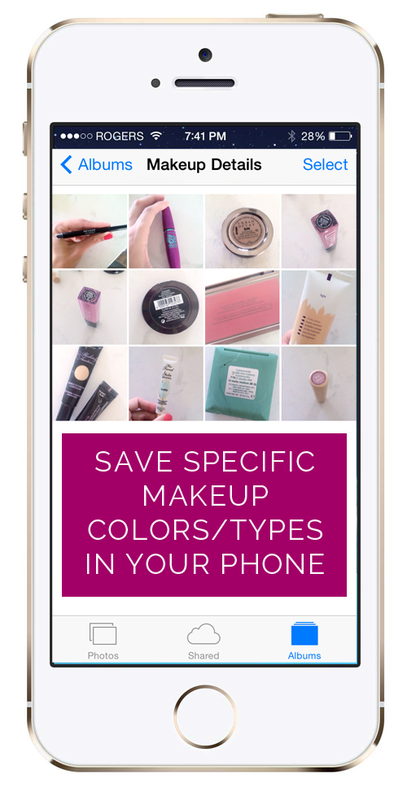 Love the tip about saving your favorite makeup shades in your phone, such a great idea! Happy weekend! Prince George! I also loved the pic of Kate looking down at Charlotte while Charlotte looks at the camera. So sweet. Oh my gosh I need that dress in my life right now! I need a formal gown for an event in August and it looks like the perfect dress! And Prince George. Love that little face to pieces! Zucchini bread is so good, so I'm sure those muffins are amazing! Applesauce in muffins is really good! I love that maxi dress:) Have a great weekend! He is just the cutest kid it hurts haha! I feel like my iphone is so full of photos because I take them to remember everything and then never delete ones, oops! 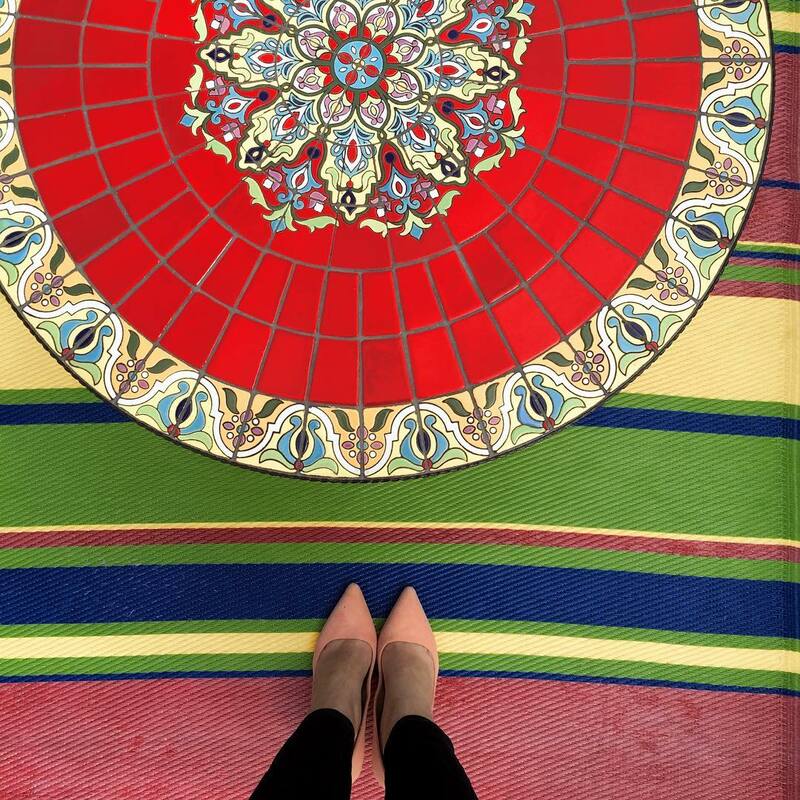 Your outfit pic is amazing! I agree that thin gold belt is everything! Major inspiration! Great tip for remembering makeup tones/colors! Seriously why didn't I think that of that before? lol It happens to me all the time specifically with my foundation and I definitely bought the wrong one last time which I wasn't able to return. You always post such lovely things. Thanks for sharing and have a great weekend! That's a lovely lipstick color. I hope they re-stock! I'm waiting for that book from the library. Prince George looks like a little bugger. I bet he gives the royals a run for their money! That pink dress is AMAZING... and I'm loving those muffins... but Prince George steals the show!!! Have a fabulous weekend!!! That dress is so you and I love the idea of that app! Hope you have a great weekend! That pink dress is so gorgeous, love the details on it. 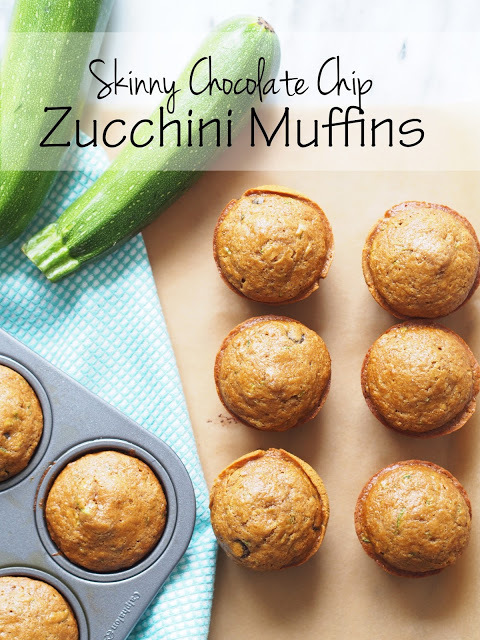 I've never had Zucchini muffins before but would sure love to try. I love that dress!! It's so beautiful. I was doing just fine until that last image of the little prince and then I just died. Too cute!! Have a great weekend! Omg, that picture is the best! I love ANY wave tutorial. I used to be able to get the most gorgeous wave in my hair, but my head just kind of stopped doing it. :( Happy weekend! Prince George is the cutest! And I'm in love with the dress Krystin shared -- so gorgeous! Have the best weekend! Prince George is so adorbs! Those photos from Charlottes Christening were so special. Love your Friday lists. I have heard great things about that book. And your favorite look is WOW. That pink floral maxi is a stunner. Glad the book was a good read, it's on my list. That dress is gorgeous! Have a great weekend! So much greatness with that dress and the clutch! Totally wish I had somewhere to go to where that! Ohh I definitely need to read that book! And that dress needs to be in my closet ASAP!!' Great post!! 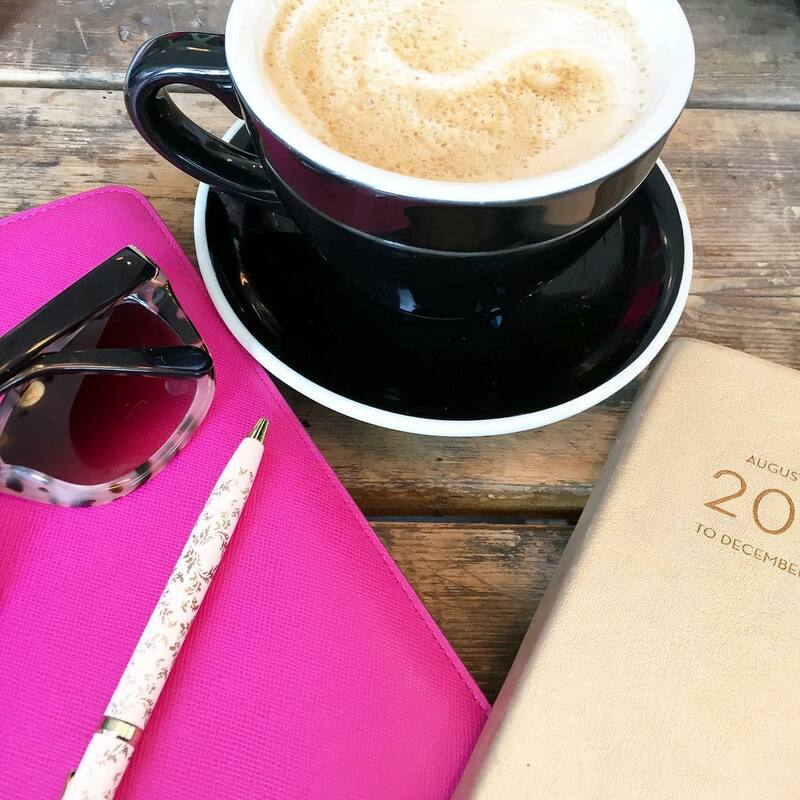 So much inspiration in this post! I'm going to add that book to my next to read. I totally had to stop and braid my hair via the beachy waves and crown post! I love that dress! the style of it is so fab! That's such a good tip for remembering your makeup! And how cute is Prince George in his little outfit?! I'd like to to invite you to linkup with us for High Five for Friday next week. Our linkup goes live at 7 am EST. Would love to give the book a try and oh my god, that dress is stunning! Thank you for sharing! Krystin totally nailed her look with that gorgeous dress - I'm obsessed! I can't believe I never thought to take pictures of my holy grail makeup so I don't forget when I'm out shopping, what a genius concept. I hope you had a wonderful weekend! 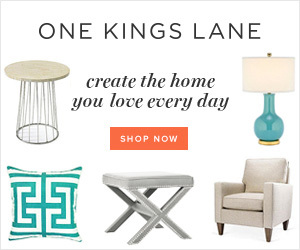 Krystin Lee is so amazing and I love these links! Hope you're having a great weekend! That DRESSSS! Literally all of the heart eyes - it's so gorgeous!! And I definitely need to try those chocolate chip zucchini muffins, too! Happy Sunday! Ooohh adding that book to my to-read list and dying over that picture of prince george hahaha love it! That dress is drop dead gorgeous!!! I Love it!! I don't know why I'm always afraid to try baking recipes that use applesauce for a substitute-- if you try those let me know! I actually have a bunch of zucchini in my fridge that I need to use soon. I agree with you on Eight Hundred Grapes! I really enjoyed it too, but it was a lot of back and forth between the chapters.